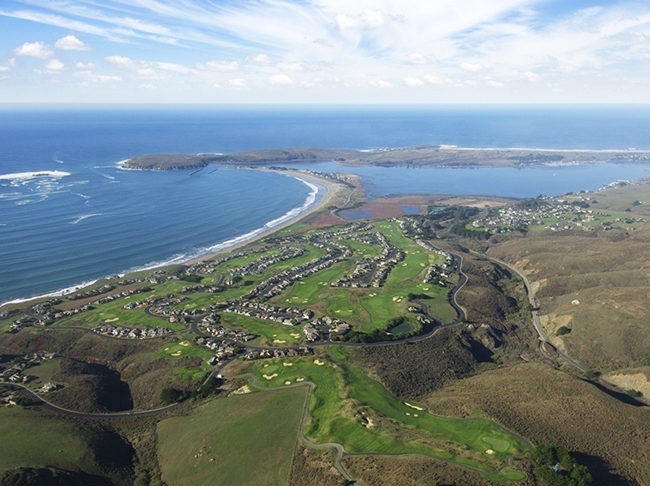 The Links at Bodega Harbour is located in Bodega Bay, a scenic coastal town in California Wine Country just over an hour north of San Francisco, California. Opened in 1978, it is an 18-hole Robert Trent Jones Jr. layout reminiscent of a Scottish links style seaside golf course with ocean views from every hole. The golf course is the centerpiece of a community of 725 custom built homes overlooking the Pacific Ocean.